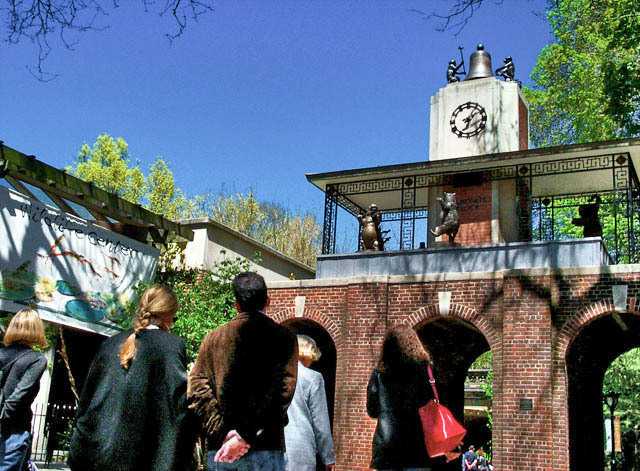 Miami In Focus Photo Gallery of the Delacorte Musical Clock E65 in Central Park. 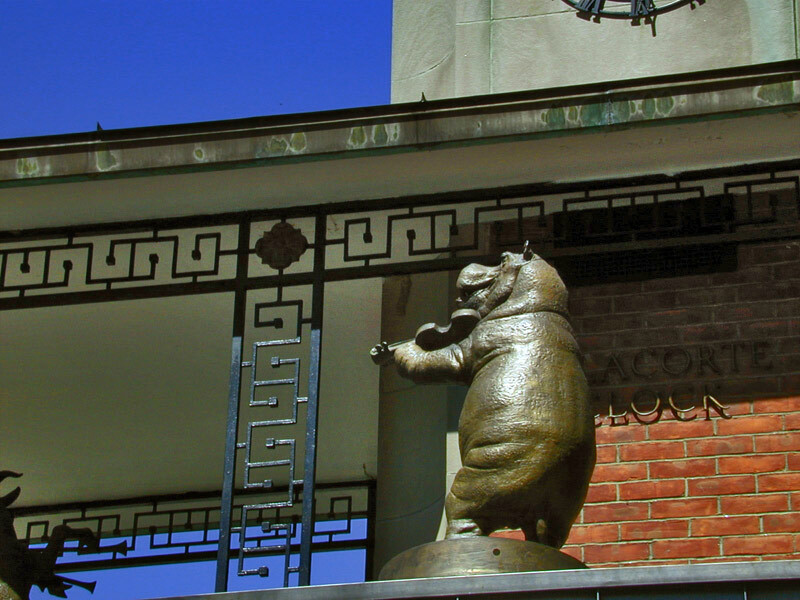 Located between the Wildlife Center and the Children’s Zoo is the George Delacorte Musical Clock built high above a triple arched red brick arcade. 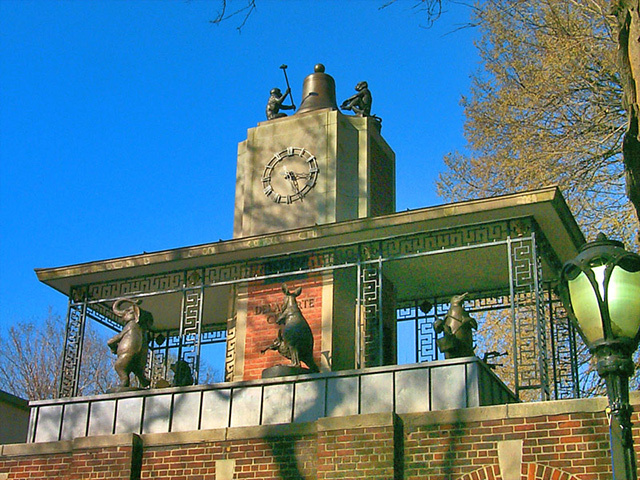 This clock is a main attractions for kids in Central Park and with its musical chimes it has won renoun for its uniqueness. 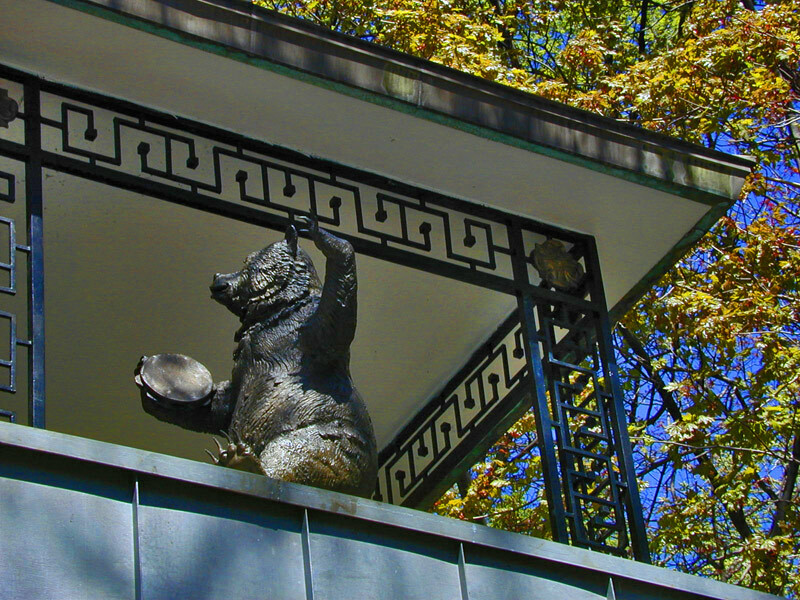 It is decorated with six bronze mechanical animals, which delights parents and children of all ages. 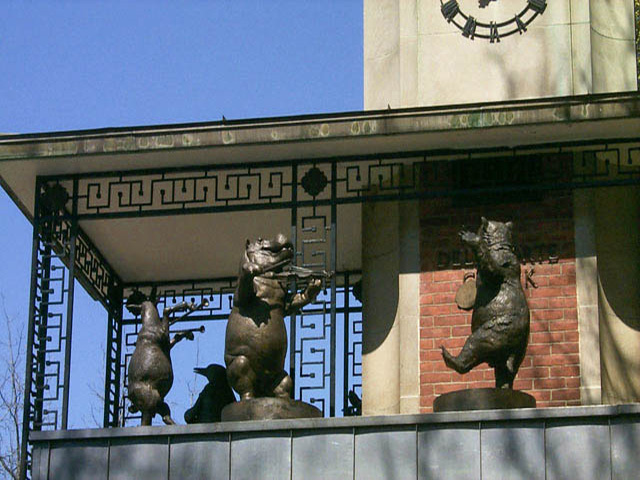 The fun begins every hour and half hour when one of 32 nursery rhyme tunes play while the animals rotate around the base of the Clock. The merry roundup of animals includes: a bear with a tambourine, a hippopotamus with a violin, a goat with pan pipes, a kangaroo and offspring with horns, an elephant playing an accordion, and a penguin with a drum. 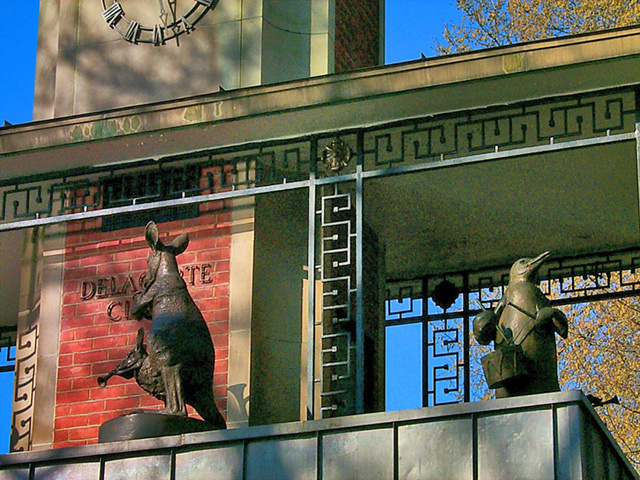 At the top of the clock are two bronze monkeys that appear to bang their hammers against a large bell. An audience of parents with wide eyed children always gather around the Clock to wait in anticipation, eager to see the animals dance and play their way around the clock tower.